Me: Satu Halonen, born in Helsinki, now living in Inkoo. I am: Actress, writer, drama teacher. Art form: performing arts; acting, physical comedy, clowning, writing. I am happy to be part of ISEAS because this is a great opportunity to bring artwork and drama directly to people, and to explore art together in everyday communal environments. I am also excited to meet other artists, as working with them will be inspirational. I have used applied theatre in projects with school children. We let children create their own “sequels” to our play, which we then returned to perform for them. The idea was to teach drama and its structures, but more importantly to let children learn their own influence and be storytellers, allowing them see their ideas brought to life. When their ideas became visible on stage, kids hopefully got the feeling that we saw and heard them and valued their opinions. Afterward, I wrote a short story based on the play and the kids’ ideas, and I gave it to school. With further education I have deepened my skills, the main influences are: Meisner technology is taught by actor-director Steven Ditmyer (USA). Taina Mäki-Iso, clown. Angela de Castro, clown (UK). Spymonkey Comedy Team Teachers Aitor Basauri and Toby Parks (UK). I’m Mahmoud, an Iranian artist born in Tehran in 1979. I began my artistic career studying painting in Iran at an Art University, and continued my studies in Italy at the Academia di Brera, where I graduated in Painting specialising in Visual Arts. Now I live and work in Milan. My research is based on integrating the cultural, social, artistic, and relative using the language of contemporary, painting, installations and performance arts. In 2014, I founded Spazio Nour, a creative Art Gallery in Milan that promotes dialogue between different visual, performing, and relative arts, and between the many ethnic groups and cultures that live together in the same building, “Bligny 42,” which is a famous palace in Milan! 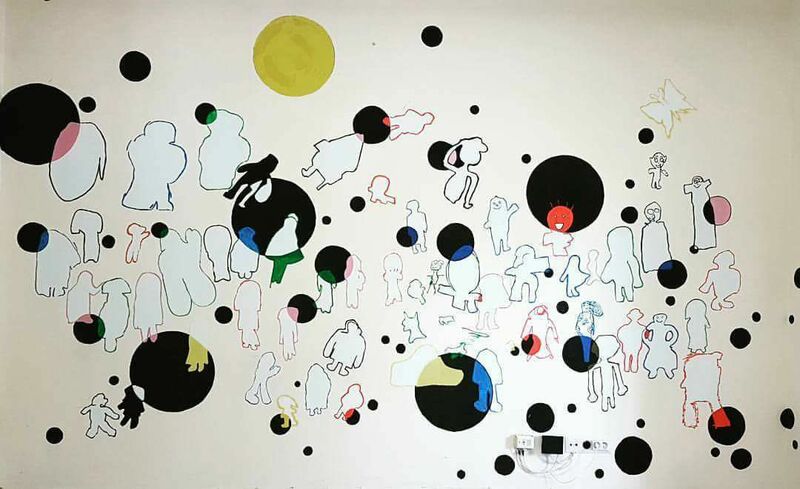 The creation of the Spazio Nour space as a work of art has laid the foundations for an artistic dialogue through curatorial organizations, exhibitions, events, and workshops within the social, relational and intercultural. It acts as a final attempt to break down the social disadvantage (drugs, violence, prostitution) of the building, using an artistic and empathetic language, defined by my new idea of “Artempatia” ( Empathy Art ). The medieval and communal village school of Mustio is the meeting place for the whole village. A safe, open, and caring community supports and teaches the children in their natural growth environment. Our school has extensive art education and various projects, especially among the older students. 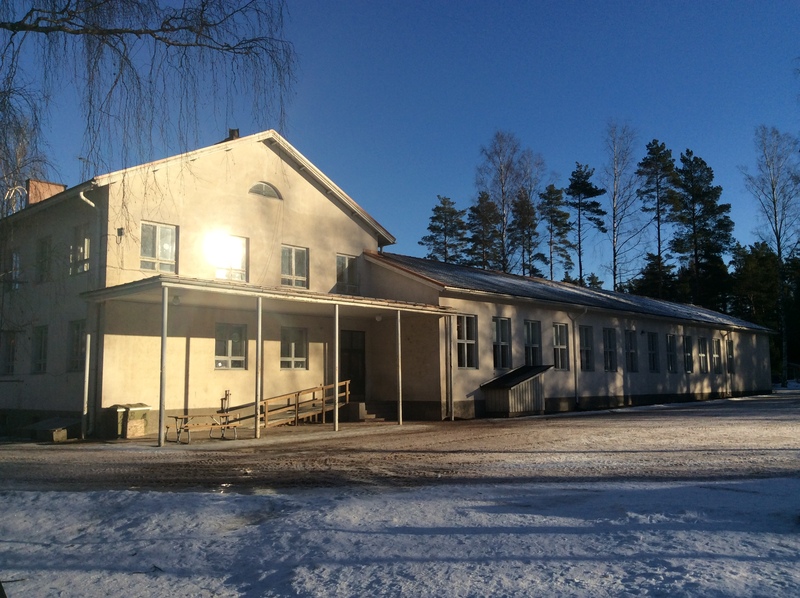 Our school has been involved in Katja Juhola’s social art projects before, and the experiences have been very positive. Social art enhances the children’s involvement and sense of belonging, and provides holistic experiences through art to support personal growth. We look forward to positive experiences and contacts in Iseas during the week to cheer up the traditional school life. Mustion keskisuuri yhteisöllinen ja mukava kyläkoulu on koko kylän kohtaamispaikka. Turvallinen ja avoin, välittävä yhteisö tukee ja opettaa lasta hänen luonnollisessa kasvuympäristössään. Koulussamme on paljon taidekasvatusta ja erilaisia projekteja varsinkin isompien oppilaiden keskuudessa. Koulumme on ollut osana Katja Juholan projekteissa aiemminkin. Kokemukset näistä ovat olleet hyvin positiivisia. Sosiaaalinen taide voisi lisätä lapsen osallisuuden ja kuuluvuudesta tunnetta Ja tarjota taiteen kautta holistisia elämyksiä henkilökohtaisen kasvun tueksi. Odotamme Iseas viikolta positiivisia kokemuksia ja kontakteja piristämään perinteistä koulun arkea.